That’s the battle cry of information- and narrative-hungry entrepreneurs who are constantly looking for the newest material and insights to strengthen their business acumen. Of course, you don’t have to be an entrepreneur to love a good business podcast. There are plenty of resources available in the podosphere to help you be more productive at work and more whole at home. 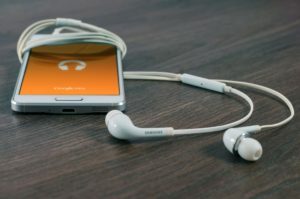 We’ve created a list of five podcasts to download this year and we’ve tried to avoid the old guard like Tim Ferriss and EoF. Enjoy! We like this show from Gimlet Media because it has that trademark Gimlet style. Business advice is wrapped in intimate narratives about how Gimlet CEO Alex Blumberg started his company. “It tackles all the issues of starting a company, like naming it, valuing it and bringing on partners through a personal, narrative lens,” Entrepreneur contributor Matt Mayberry wrote. Another newcomer to the biz podcast world, Powderkeg is a startup show that focuses on a unique area of the tech world: entrepreneurs outside of Silicon Valley. Here’s how Entrepreneur describes the show: “Energetic host Matt Hunckler taps into the minds of top-tier entrepreneurs, investors and innovators to provide insights that will help aspiring founders no matter where they’re located. Some of the personalities on the show are Jenny Blake, Derek Andreson, Paul Singh and Jay Baer. Could Buddhism Save the Global Economy? The show gets an average of 4 stars from 14 reviews on Podbay.fm. Recent reviewers praised the show for its smart banter and offbeat topics. This show is the brainchild of Brian Clark, a serial entrepreneur with a colorful resume that includes tenures as a lawyer and a writer. His podcast is popular with entrepreneurs and freelancers. Each category plays an important role in your journey, and Clark covers them like the expert that he is. The final podcast on this list features stories of entrepreneurs who found success in the tech universe via non-traditional backgrounds. “The goal is to encourage and inspire people who want to get into tech by teaching them how to leverage their unique experiences in other industries,” Entrepreneur’s Mayberry wrote. The show received some press from Tech Crunch in February when it interviewed Idalin Bobe, an IT consultant who grew up in one of the nation’s poorest zip codes. Treading water doesn’t get you anywhere. These podcasts will help you expand your perception of success, encourage you to break boundaries and push forward, and, above all else, inspire you to fulfill the drive within you. Don’t fall into the trap of being over-enthusiastic with your listening, though. Start slow – one or two podcasts a week. Take notes and allot time to reflect on what was said. Use a few minutes each morning to explore how you can apply what you learned to your daily routine.